In this section of the site you will find the tours from the Amalfi Coast, with all of the most loved excursions departing from Positano, Amalfi and Ravello, and also the shore excursions from Amalfi. Located on the left of the page, you will find the private excursion information (in light blue) and on the right the information for the cruise passengers leaving from the port of Amalfi (in navy). May I remind you that all the tours & excursions here can be tailored made especially for you. Just drop me an email and I will send you a quotation with more information. 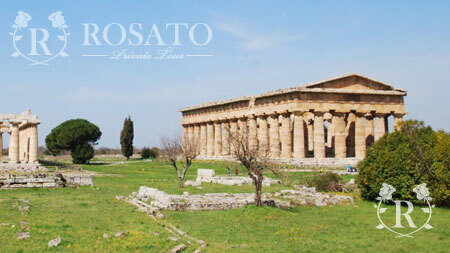 If you are interested in the most beautiful places in Campania then this is the tour for you. Wander around the Roman streets in the archaeological site of Pompei, admire the beauty of Sorrento with all she has to offer, then finish off the tour in stunning Positano, the pearl of the Amalfi Coast. 8 hours of interesting history, relaxation and enjoyment. More information on this tour. 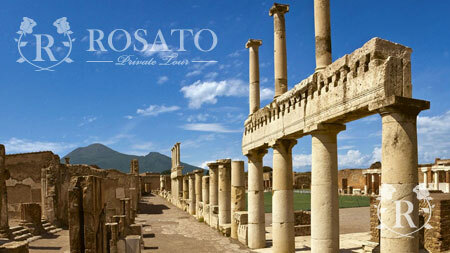 This tour offers all the highlights of Campania region. Then tour begins at the excavation site of Herculaneum, where you will find out about all the secrets of the Romans, preserved in time. Then we head to Sorrento, a town filled with history and folklore, and then finish the day in Positano, a little fishing village, that every year welcomes thousands of people, tourists and celebrities alike all wanting to wander around the charming town. More information on this tour. If you are looking for an excursion that is steeped in history – then this is the one for you. A true journey back in time. 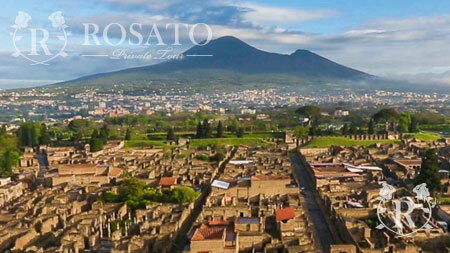 Visit the sites, where over 2000 years ago, time stood still when Vesuvius erupted and killed so many tragic Romans. 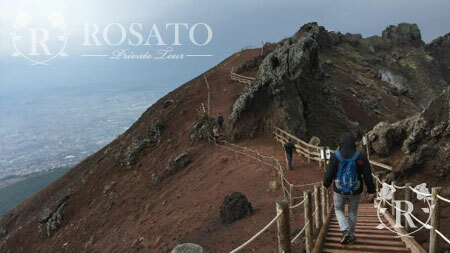 We will take you to the crater of Vesuvius via a small walking tour through the Natural Park. This day will satisfy all those eager to learn about the past. More information on this tour. 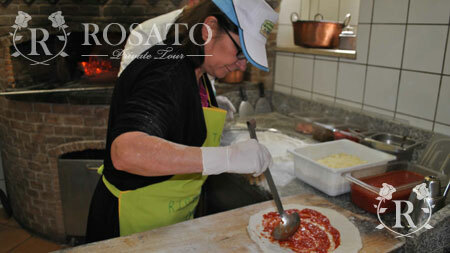 A tour dedicated to all the lovers of fine Italian food! 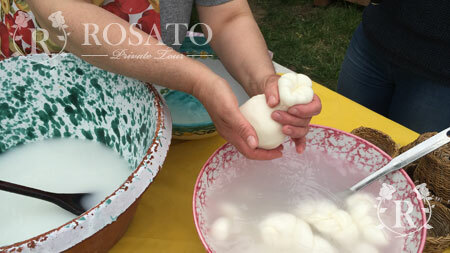 Our tour will take you to see how the famous mozzarella cheese is made, then you will find out the process of making extra virgin olive oil. We will take you to try our local wines such as Falanghina and Il Greco del tufo, then onto some of our world famous ice cream and cakes in Sorrento. This is a tour suitable for everyone. More information on this tour. This tour is the best way to truly immerse yourself into the culinary world of Neapolitan Cuisine. A day spent in the countryside with a local family, where you can join them in preparing local plates such as Gnocchi Sorrentina and Parmigiana di melanzane. Then you can eat and wash it all down with local wine. A truly unforgettable experience. More information on this tour. This is a shore excursion from Amalfi to visit the Amalfi Coast. From the port of Amalfi we will head up towards Ravello – everyone who visits this beautiful place falls in love with it. 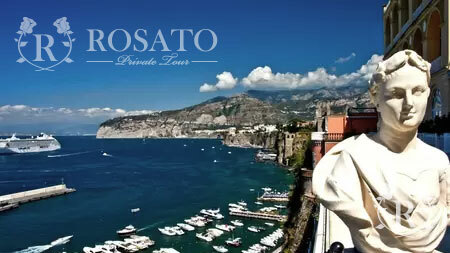 We will then head along to one of the most well known sights in all of Italy, the spectacular vertical town of Positano. You will have time to wander along the little shop filled streets and take it all in. This is a lovely relaxing day and a great way to see the area. More information on this shore excursion. This shore excursion satisfies anyone wanting to se some of the history and beauty of the area. First we will go the the ruins of Pompei & thanks to a local expert guide, you will find out how the Romans went about their daily life 2000 years ago. 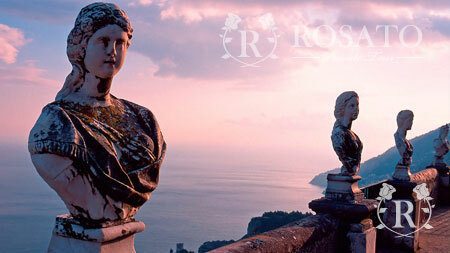 The second part of the day will be spent in arguably the most scenic part of the entire coast line – Ravello. With it’s world famous terraces overlooking the coast – the most famous being the terrace on Villa Cimbrone. This shore excursion combines both the Amalfi Coast and the Sorrentine Peninsula. First of all to Positano, the pearl of the Amalfi Coast, where you can wander through all the little streets. Famous for it’s shops – beautiful linen clothing and hand made sandals. Then onto to gorgeous Sorrento, famous for inlaid wood work, the tarantella dance and the local tipple – Limoncello. You will have plenty of time in these two lovely locations – the day excursion lasts around 8 hours. More information on this tour. 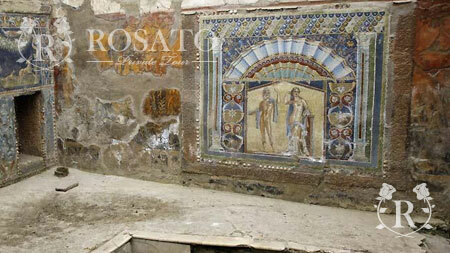 A fantastic tour for a fulfilling day out – first we will go and visit the world famous mosaics and other things left over from the Roman empire, astonishingly preserved in Herculaneum. We will then head down the coast to the stunning natural beauty of Ravello – you will be able to visit Villa Cimbrone and admire the amalfi coastline form up on high from it’s terrace. This excursion will last approximately 8 hours. More information on this tour. 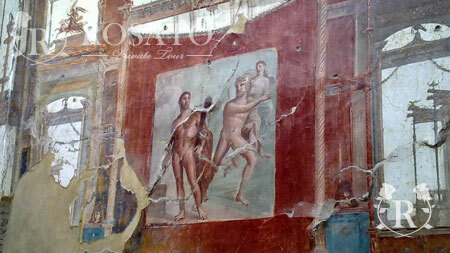 This is the shore excursion for those who love history and art. Departing from the port of Amalfi, we will head to the archaeological sites of Pompei and Herculaneum. Both towns were covered in ash and lava in 79AD with the eruption of Mount Vesuvius – but fortunately for us, this meant that the Roman way of life was preserved incredibly clearly for us to be able to witness today. Your day will last for approximately 8 hours. More information on this shore excursion. First of all we will join a walking tour which will take us up to the crater of Mount Vesuvius – from this amazing vantage point you will be able to see the whole bay of Naples and all of it’s natural beauty. From here we will head to the archaeological site of Pompei, while in the hands of a local expert guide, you will find out about the Roman way of life over 2000 years ago. More information on this shore excursion. If you like more info and price of one of these tours fill the form. We respond as soon as possible. If you prefer you speak with us, call us! 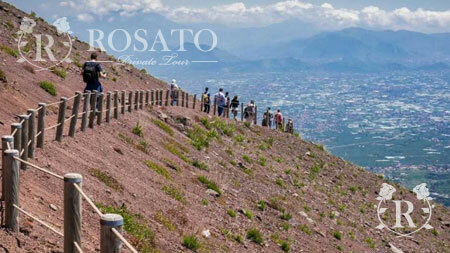 We will be happy to give all the information about Sorrento Tours. Some reviews of our customers who have chosen us for tour from Sorrento. Vittorio and his team provide flawless service, we booked transfers to and from Napoli Centrale train station and a full day Amalfi Coast Tour (Positano-Amalfi-Ravello). They offer fantastic customer service, friendly and helpful. All my questions were answered promptly via email and booking was easy. Transfers were on time and they assisted with luggage, the guys were great to chat to and offered suggestions and insight into Sorrento. The full day tour was fabulous, one of my favourite memories of Italy and Vittorio offers a warm Italian welcome and really takes great care of you. Highly recommended! Highlight of our trip! We really had a very nice day with Vittorio being the perfect guide! Can recommend it to all! And do remember to have an empty stomach when you start ;)! The Amalfi Coast is one of those places that you have to visit at least once in your life and for that reason every year thousands of people come to admire the world famous coastline. It is made up of many small villages and towns that pretty much all join together, in an area that covers over 75 kilometres of stunning coastline. Amongst the more famous towns are Positano, Ravello & Amalfi itself, where the stretch of coast gets its name from. Positano is the first town that we arrive at on the Amalfi Coast, travelling from west to east. The town rises up from the sea in a vertical position that really makes it a one of a kind, wonder to behold. The scenery is a mixture of the lush greenery and the grey of the surrounding Lattari mountains. According to tradition, Positano was founded by the inhabitants of Paestum who were trying to flee from the invading Saracens. Positano is world famous for it’s line of Linen clothing, hand made shoes and ceramics, which you will find everywhere is local artisan shops. Amalfi is located bang in the middle of the Amalfi Coast, and you can access it from both the direction of Sorrento or Salerno. Amalfi has the proud history of being the first Marine Republic, and it dominated the commercial sailing in the Mediterranean until 1137, when it was superseded by it’s rival Pisa. A famous Son of Amalfi is Flavio Gioia – the inventor of the compass. Without a shadow of a doubt this is one of the two most beautiful places on the Amalfi Coast, thanks to it’s gardens and terraces that showcase the Amalfi coastline from up on high. The Villas offer a traveller somewhere they can truly relax and soak in the beauty. Ravello has such history that even novels have been written about it. In Ravello you can visit the historic church, Villa Cimbrone, Villa Rufolo and the Coral Museum. Every year the famous Ravello Festival takes place during the summer months highlighting both Italian and international stars from the world of music.